This is a guest post from Randi S., a Reynolds associate. 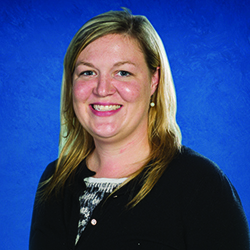 She found her place at Reynolds and Reynolds after an eventful journey of positions. After graduating from Wright State University, I took a different path to get to Reynolds. Like many of recent grads, I wasn’t sure what I wanted to do 'for the rest of my life.' It was an intimidating time. First, I was offered a management position at the restaurant I had worked throughout college. I accepted it, but knew it wasn’t what I wanted to do long-term. I continued job-hunting during the day and then worked most nights. I was ready to work for a company with a solid foundation, a tradition of giving back to the community, and growth opportunities. So I knew what I wanted from my employer, but I still wasn’t sure what I wanted to do. 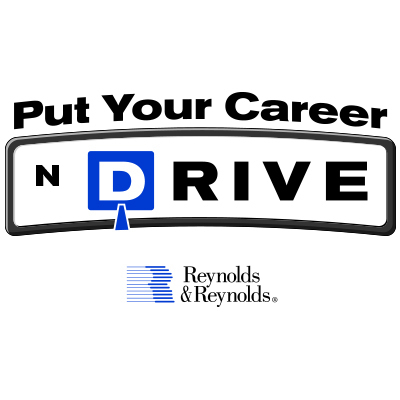 I started working at Reynolds as the administrative assistant to the senior vice president of software support. I immediately realized it was a great opportunity. The people I worked with were willing to teach, helpful, and supportive. I learned about the company’s background and the process behind developing new software. I joined sports leagues and participated in charitable events. I enjoyed interacting with people and learning new processes. Once I had completed a task, there was always a new one waiting, or something to improve with the last one. However, after two years, I mastered that job. A job should continue to teach a person; once you feel like you’ve stopped learning, it’s time to move on. I checked the open positions on www.reyrey.com/careers and noticed a marketing position that sounded interesting. My boss was extremely supportive in my desire to grow professionally. He reached out on my behalf to the director of the brand marketing group about my interest in the position. I interviewed with the upper management in the position I was interviewing for and was given the opportunity to transfer. Since joining to the marketing department, I’ve continued to learn something new every day. That’s not an exaggeration. Every day, someone teaches me something. I love working with different people, seeing a project go from an idea to a concrete object, and managing different products.